Personal touches are what make a wedding truly unforgettable and this vintage ranch wedding right here in Sonoma County was adorned with rustic, homemade items that all helped to make the day even more memorable. 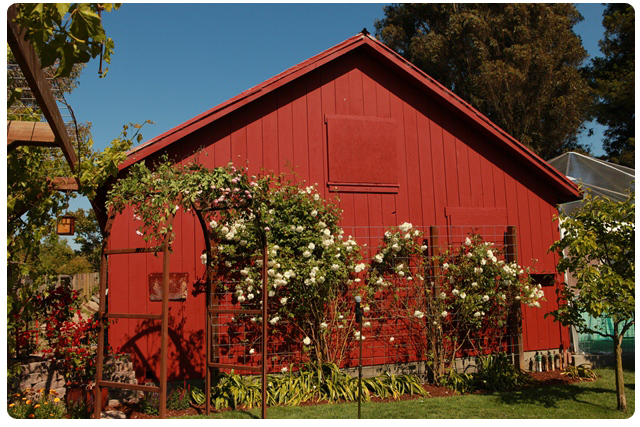 The location for this weeding was at the groom’s childhood home in Petaluma, CA. 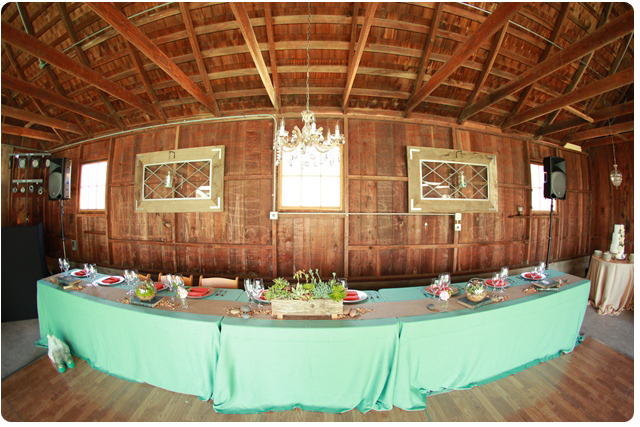 The barn located on this private residence made for the perfect setting for the wedding’s theme. The bride had always dreamed of having her reception in an old barn and she was so lucky to have found the perfect location that many brides could only dream of! 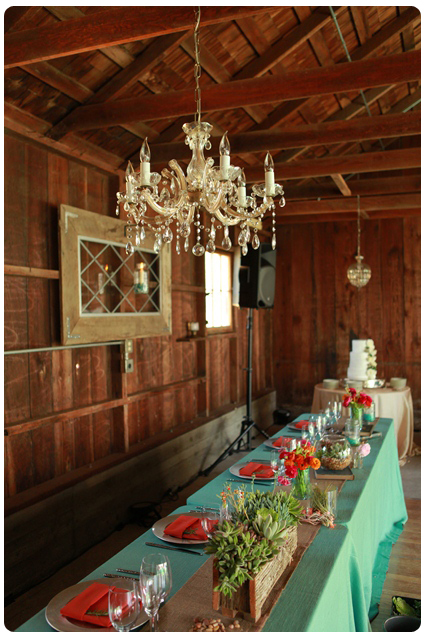 The couple have a flair for DIY and in the barn where the reception took place, you can see their homemade chandeliers, mirrors, and mason jars, that gave the event an intimate feeling. 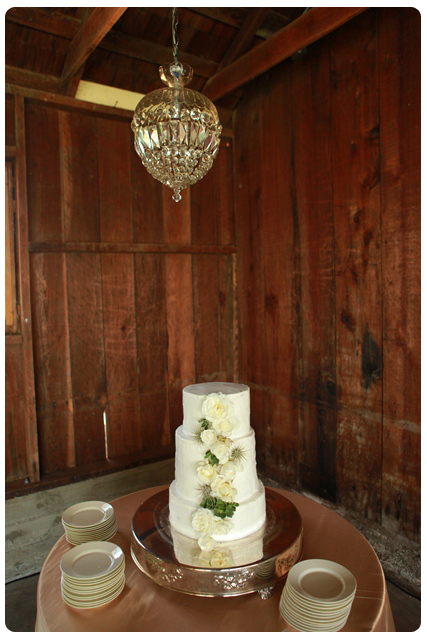 The barn and this crystal chandelier made the perfect backdrop for the cake presentation. 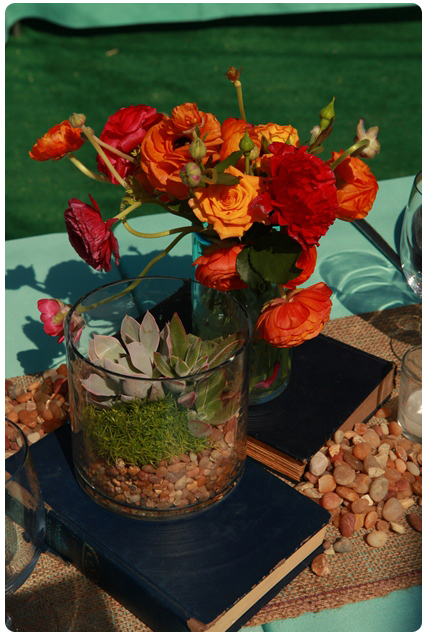 The guest tables for the vintage ranch wedding were set up under our clear top tent. 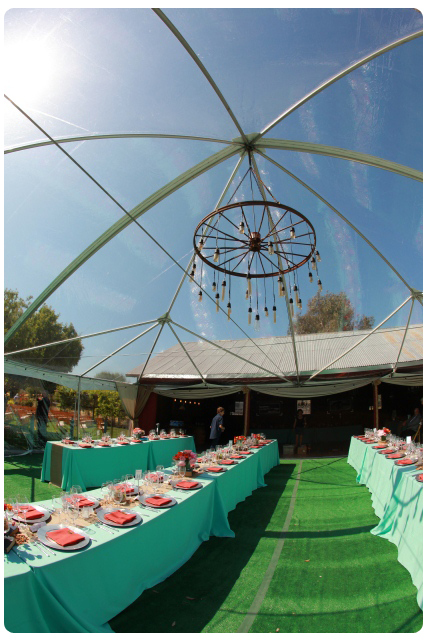 This tent was chosen so that the guests could still appreciate the fresh, outdoor feel of this ranch setting. The chandelier that was hung in the middle was designed and constructed by the groom, who happens to be a very talented electrician. It made for a gorgeous ambience once the sun had finally set. 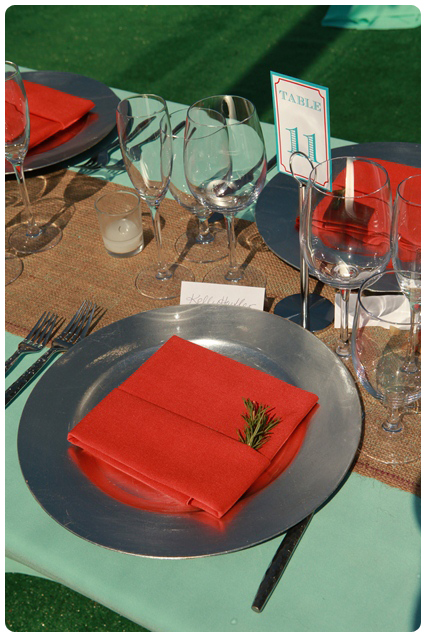 The table tops were set with aqua linens, burnt orange napkins, silver chargers and our hammered flatware. Burlap runners raced down the middle of each table. 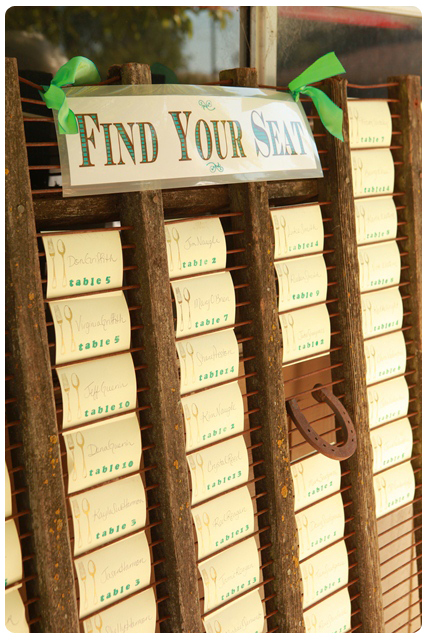 The seating chart pictured below was an inspired idea. Not only did it give a focal point for guest interaction, it was also a fun way to bring in more items related to the vintage ranch wedding theme. All pictures here were captured by the amazing Marc Blondin from Marc Blondin Photography. Check out his portfolio over at www.marcblondinphotography.com.